Apr 04, 2012 – The Mission Valley Resort is thrilled to enter another sparkling California summer as one of the most revered hotels in San Diego. Nestled in the heart of the city’s Hotel Circle district, the Mission Valley Resort prides itself on providing its clientele with luxurious yet reasonably priced accommodations, beautifully maintained grounds and pools in addition to a plethora of dining options – all in one fabulous location. The resort boasts over two-hundred immaculately maintained guest rooms and suites; each outfitted with a single king bed or two queen size beds. 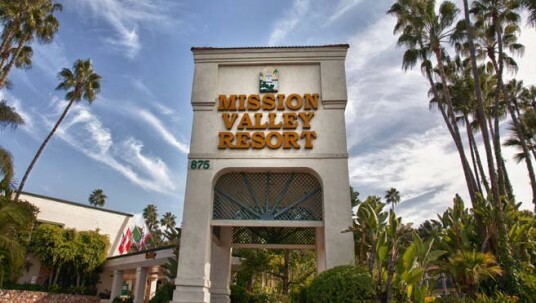 All guest accommodations at the Mission Valley Resort are equipped with cable television, free high speed internet access and video game systems. The hotel also offers wheelchair accessible accommodations with close access to reserved parking spaces. Thanks for taking the time to visit my blog. San Diego looks fabulous!